One of the worlds most contagious virus has started off 2019 stowing-away on several cruise ships. During January 2019, the Centers for Disease Control and Prevention (CDC), and other international health organizations reported several voyages that exceeded the reporting threshold requirement for a norovirus outbreak. When a cruise ship passenger reports a ‘stomach-flu, it’s probably norovirus, a common virus that is not related to the flu. Norovirus is the most common cause of foodborne diarrhea and vomiting, says the CDC. 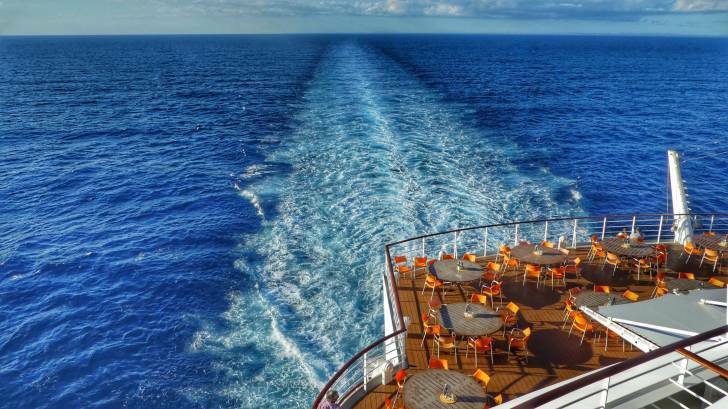 The CDC’s Vessel Sanitation Program (VSP) requires cruise ships to report the number of passengers and crew who say they have symptoms of gastrointestinal illness when 2 percent or more have a gastrointestinal illness, such as norovirus. People often associate cruise ships with norovirus outbreaks, but an acute gastrointestinal illness such as norovirus is relatively infrequent on cruise ships. From 2008 to 2014, 74 million passengers sailed on cruise ships in the VSP’s jurisdiction. And, only 129,678 passengers met the VSP program’s case definition for acute gastrointestinal illness, and only a small proportion of those cases (10%) were part of a norovirus outbreak, says the CDC. Australia: Queensland Health confirmed onboard testing found norovirus to be the cause of increased gastro cases. "Around 200 people were believed to have been infected with the virus," a spokesperson told ABC.net. Florida: The number of passengers who have reported being ill during the voyage out of a total number of passengers onboard: 31 of 925 (3.35%). Jamaica: "As of today, 167 cases of gastrointestinal illness have been reported since Sunday, representing 2 percent of the nearly 9,000 guests and crew on board," said Owen Torres, a spokesman for Royal Caribbean in a statement emailed to FLORIDA TODAY. Spain: The AIDAperla docked in Rotterdam with 70 passengers suffering from Norovirus symptoms, according to cruise tracking site CruiseMapper. Dutch emergency services treated those infected onboard the vessel. Norovirus is very contagious. To avoid getting or spreading norovirus, always wash your hands with soap and water before eating or handling food, and after using the bathroom or changing a baby's diaper, says the CDC. According to Bayley and the CDC, the simplest and most effective way to prevent a norovirus outbreak during a cruise is for passengers to regularly wash their hands. The CDC says while food can be tainted at its source, food workers who acquire a norovirus infection can unintentionally cause outbreaks as well, often by touching food with bare hands, before it is served. Though most people get better in a few days, norovirus can be serious in youngsters and older adults, because it can lead to dehydration. Norovirus contributes to about 56,000 to 71,000 hospitalizations and 570 to 800 deaths, mostly among young children and the elderly. Because the norovirus isn't a bacterial infection, antibiotics won't help. The CDC says to drink plenty of fluids to prevent dehydration. And if you do get dehydrated, talk to your doctor or pharmacist about the right way to rehydrate.